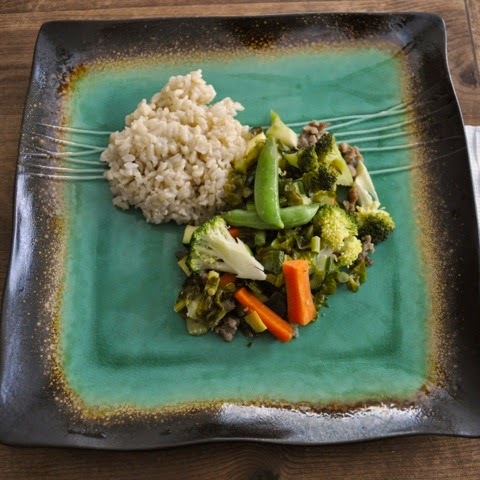 We thank Andrea of Mama Mabey for her submission of this healthy, yummy recipe! (We love sugar snap peas [and the other veggies] in our home, too!) Thank you, Andrea! Keep your "Mormon Recipes" coming! Prepare the rice according to the package directions. In a separate skillet, brown the meat. Cut up the vegetables except the Snap Peas and put them over the browned meat to steam. Cover. Check every 5 minutes as it only takes 4-5 minutes to cook the vegetables once they get up to temperature. Add the Snap Peas during the last 2 minutes of cooking. Serve rice and vegetables with additional Soy Sauce on the side.